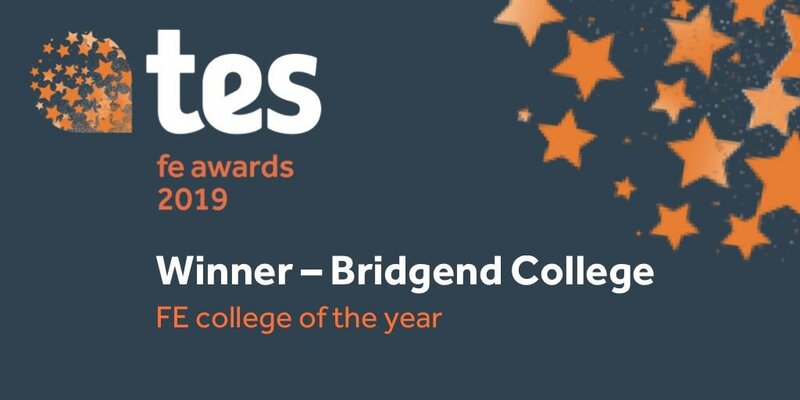 Last night Bridgend College was crowned FE College of the Year at the 2019 Tes FE Awards. This includes work with a nearby school, which led to a 13 per cent increase in the number of learners gaining A to C grades at A level. Estyn, the Welsh education and training inspectorate, awarded the college a rare “double excellent” grade at its most recent inspection. The college was praised for the “very good progress” learners make, often from low starting points. Inspectors also praised the culture in the college of supporting staff to “innovate and take risks” as well as helping to build their confidence in order to meet future challenges. The college’s own latest staff survey showed that 98 per cent of staff are happy to work there. The judges were impressed by the way in which the college had responded to local needs and the difference that it has made to the wellbeing of its students. They also praised the work dedicated to improving its fortunes under the able leadership of the governing body, principal and staff. This awards ceremony is where the most outstanding individuals and institutions that the FE sector has to offer, all come together, to celebrate the hard work and dedication. ‘I have the honour of working with some of the most inspirational people and each and everyone of our staff, learners and Governors have helped us secure this title. This award is a huge boost for the FE sector in Wales and for the Bridgend county borough’. Bridgend College was up against some larger institutions throughout the UK, such as Exeter College, Truro College and Weston College and was shortlisted for Apprenticeship Provider of the Year. Principal Simon Pirotte was also one of eight of the finalists for FE Leader of the Year.